Opisthobranch of the Week is Polycera sp. Well this year's Nudibranch Festival, sponsored by Crystal Blue Resort in Anilao, Philippines was another huge success with a dozen divers documenting 365 species, 62 of which were in addition to our 2016 workshop list. Once again several of these new critters were undescribed, new to science, species. Let's look at a new Polycera here. 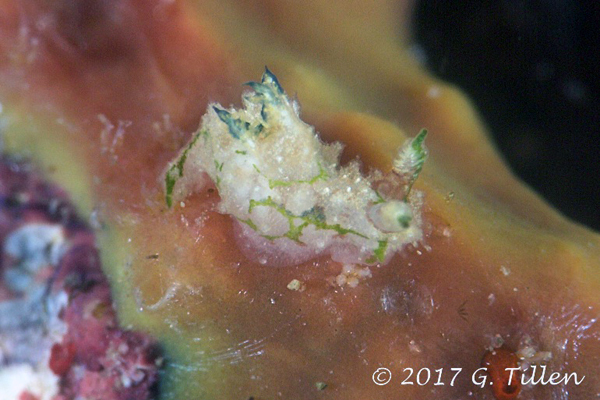 This youngster doesn't look anything like any of the species presented in Nudibranch and Sea Slug Identification . The network of green lines covering the body gives it away completely. 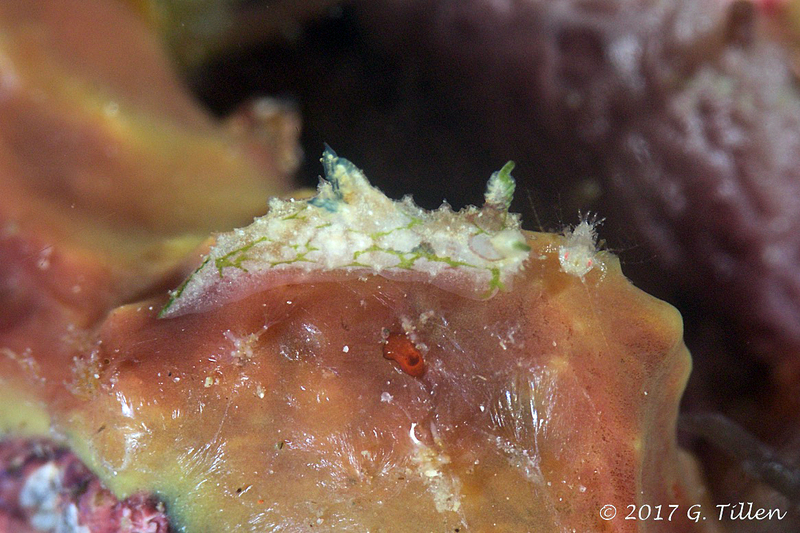 Note also the green line circling the rhinophores which also have a green tip. Otherwise the white body is covered with white tipped tubercles, and the gill is surprisingly tipped in blue. "Handsome little devil", as my festival assistant Jim Anderson, from Scotland, would say! 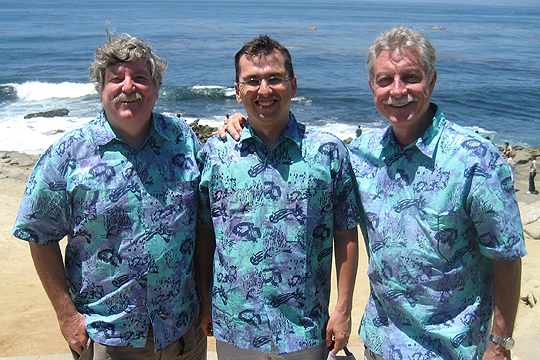 Gordon Tillen is a retired American businessman living in the Philippines since 2008. 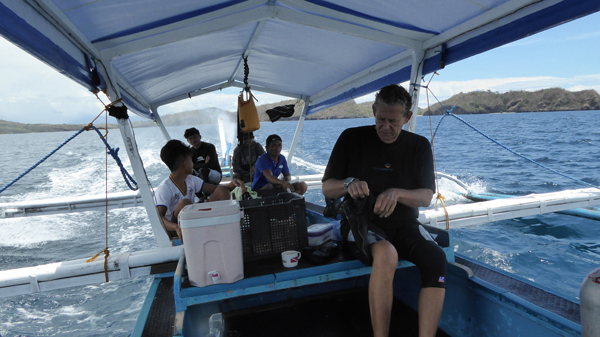 He has logged over 3000 dives across the Coral Triangle and the Caribbean. His current equipment is a Canon 5D MKIII with YS-D1 strobes and Sea & Sea housing. Currently resides in Sibulan, Negros Oriental, PH.